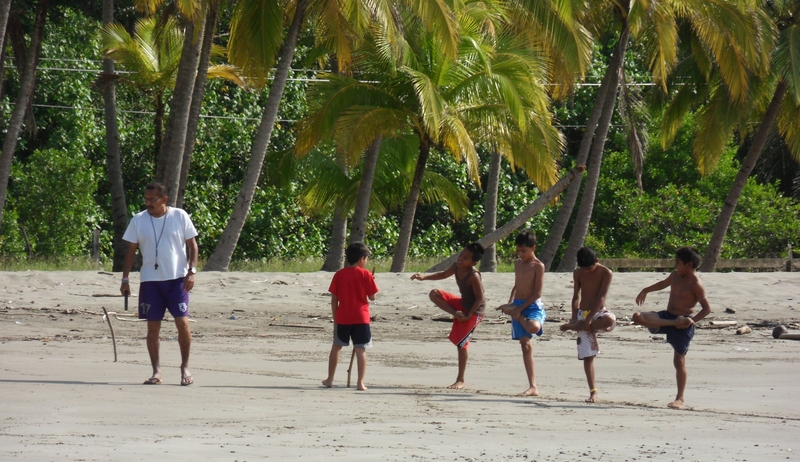 Futbol is King in Costa Rica. 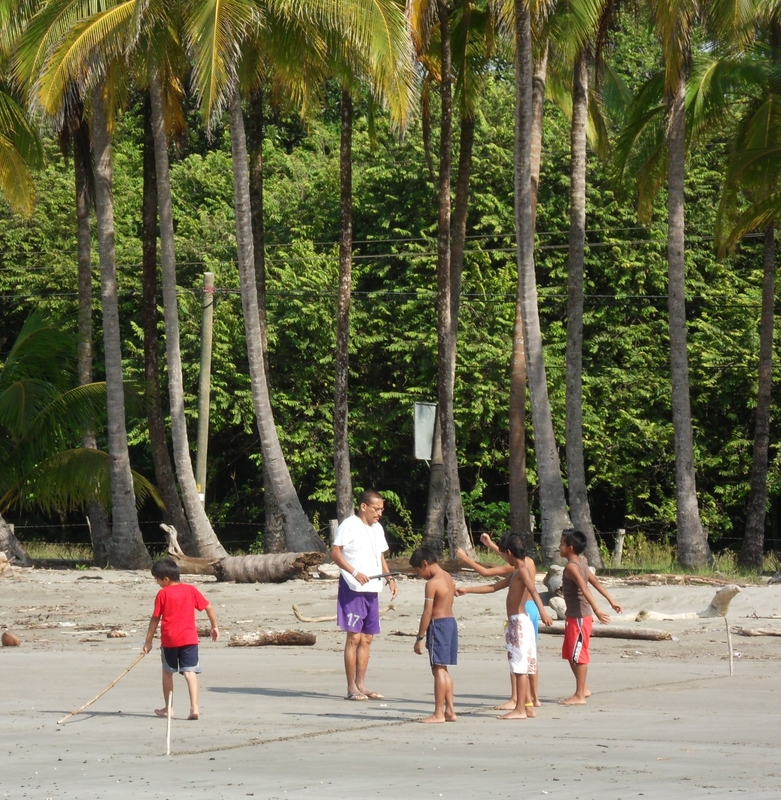 Every village has a plaza (soccer field). An older gentleman once told me “You know you’re in the center of town when you find the plaza, the catholic church and fried chicken.” So, as you’re driving around Costa Rica on Saturday or Sunday afternoon, watch for a patch of green, surrounded by trucks and bicycles. Or follow a truckload of Ticos heading for an away game. There’ll be food and drink for sale. The men usually play first but often the women’s team is short of players and you might be offered a uniform. 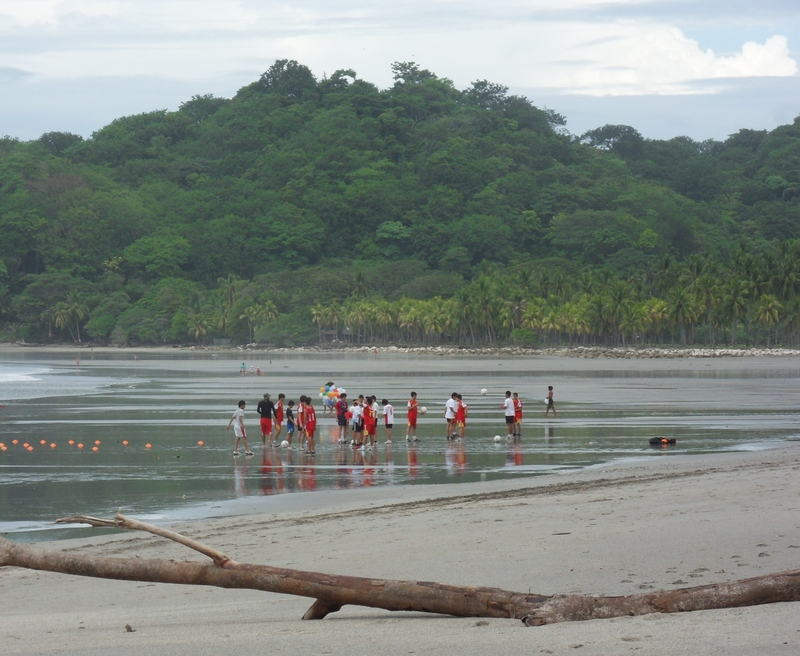 Teams practice at low tide. Players start training young. 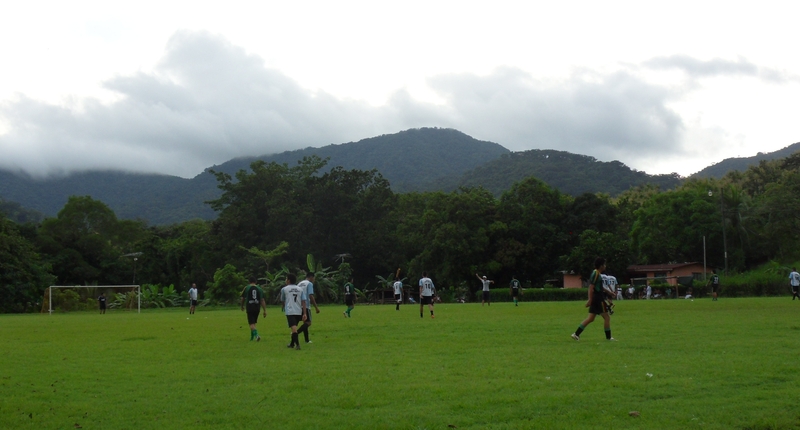 Can you think of a better way to spend an afternoon or a prettier place for a partido (soccer match)?